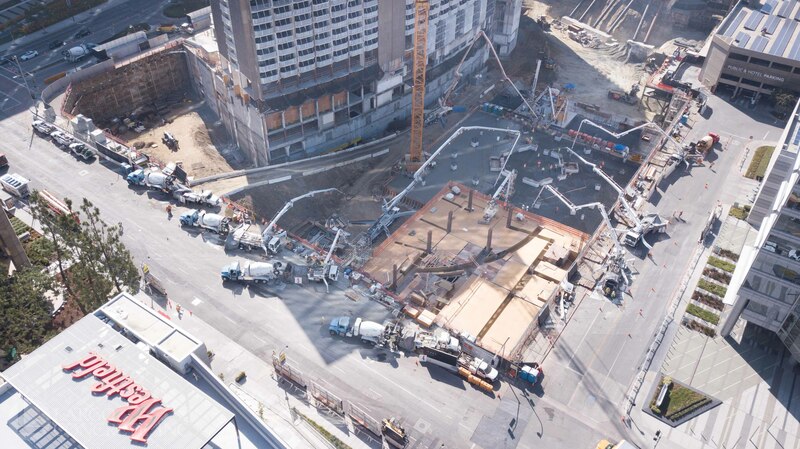 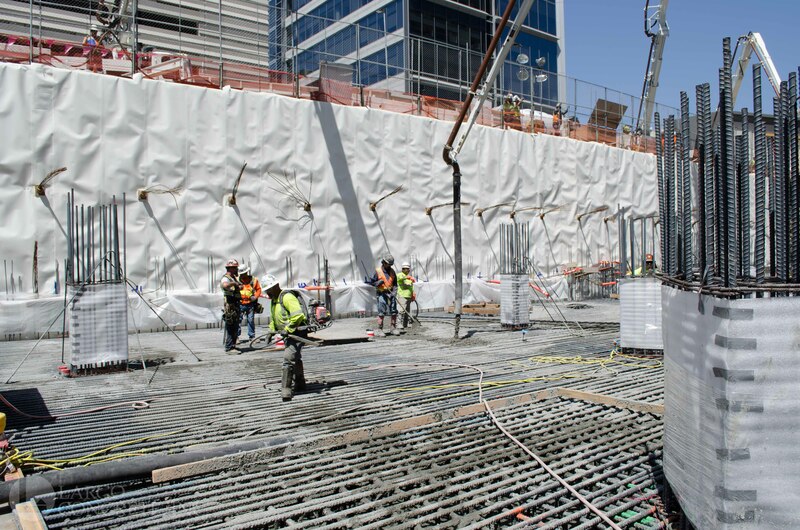 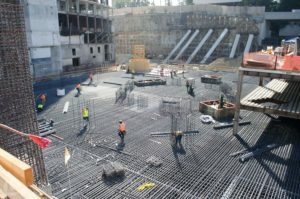 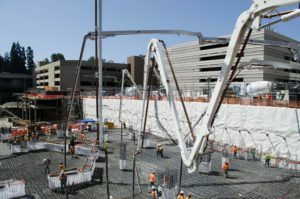 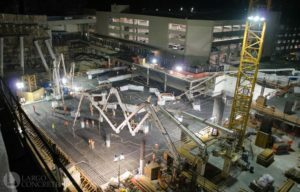 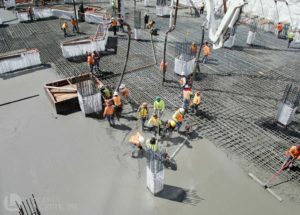 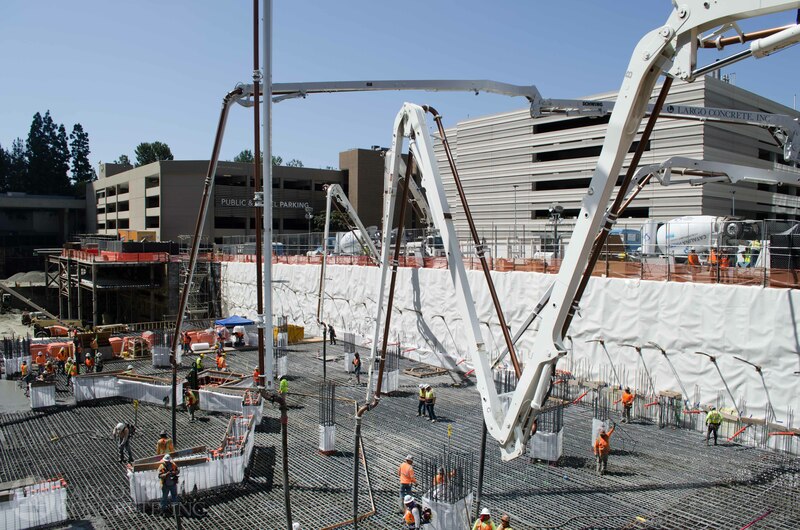 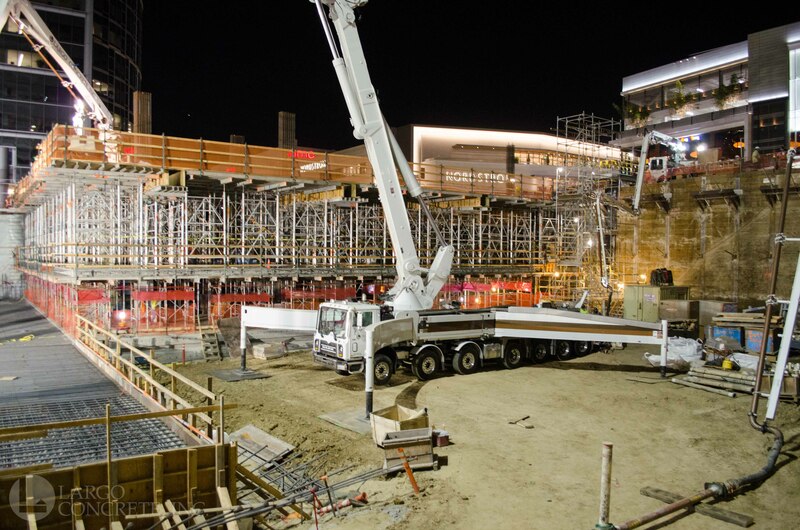 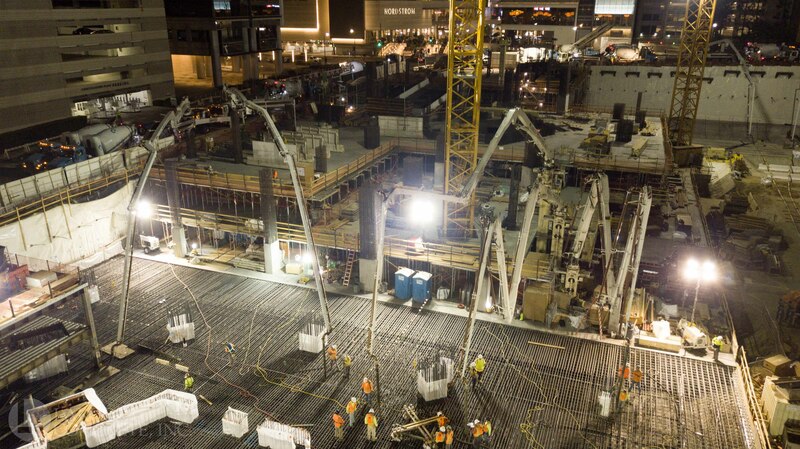 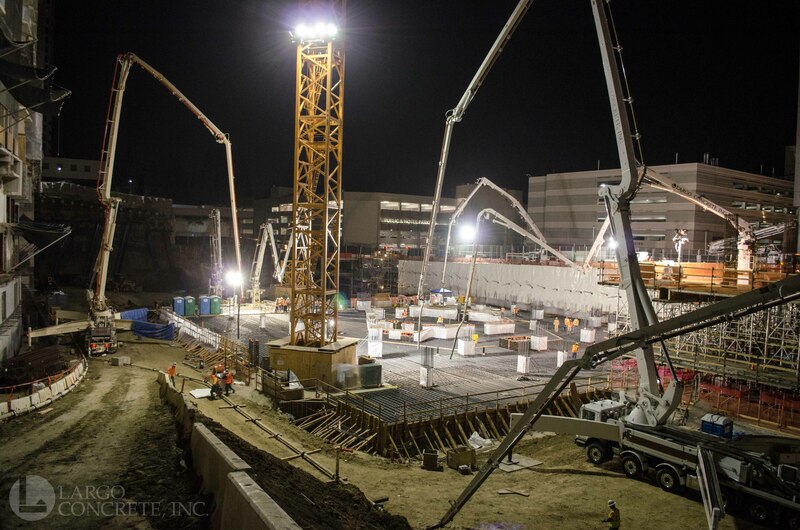 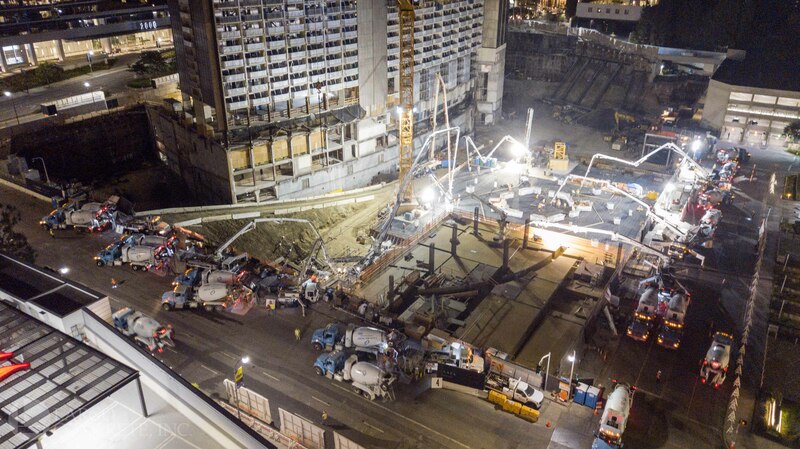 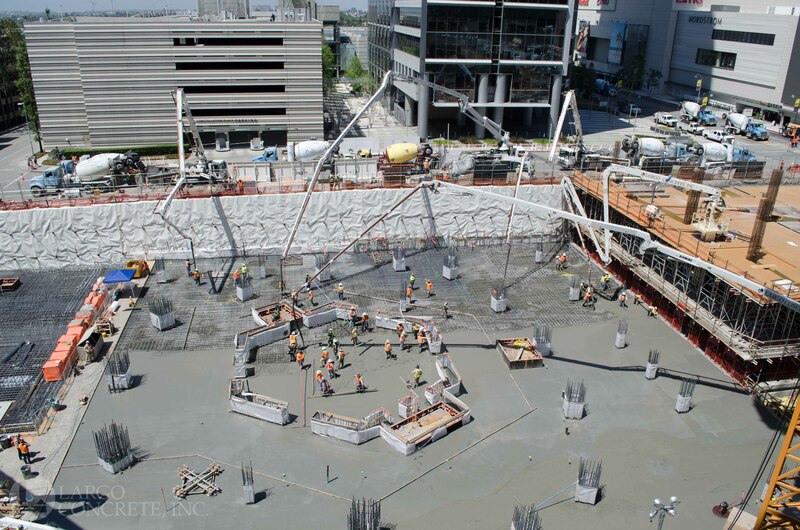 boom pump - Largo Concrete, Inc.
Largo poured 9,509CY of concrete at the Century Plaza Residences in Century City this weekend. 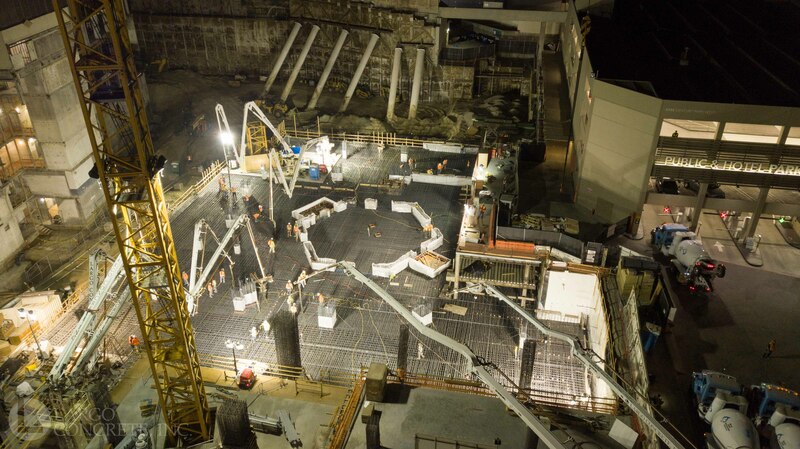 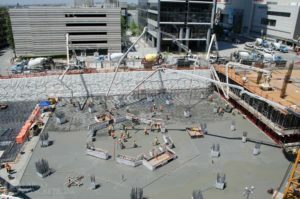 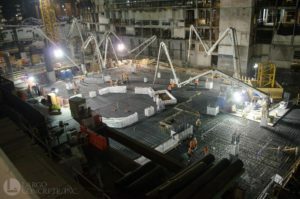 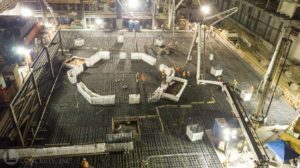 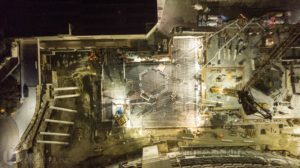 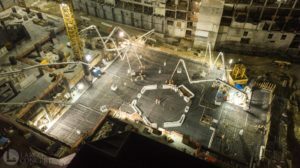 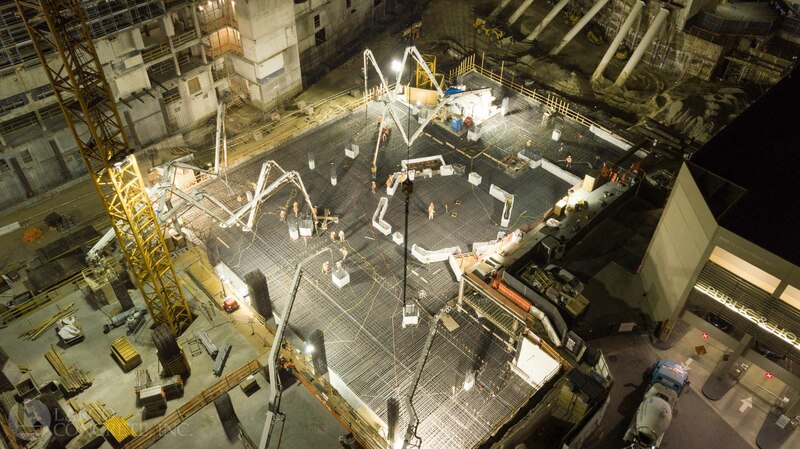 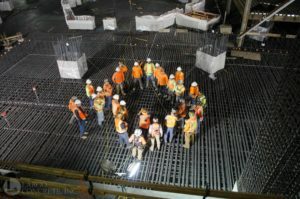 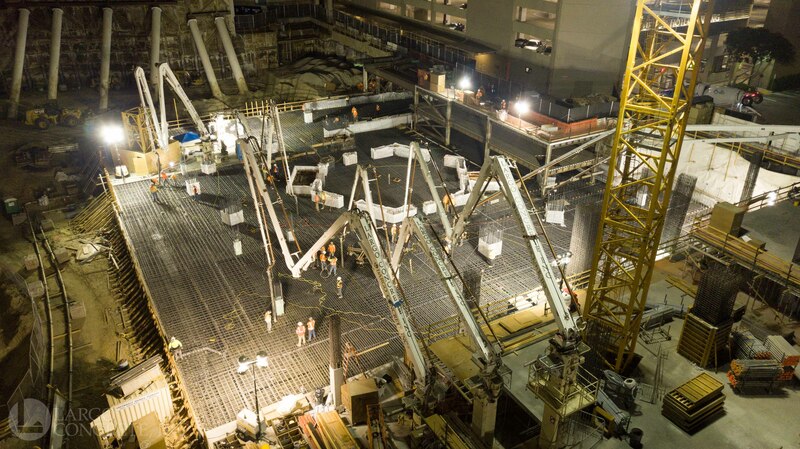 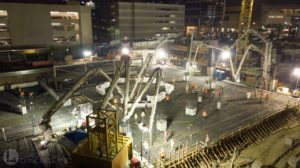 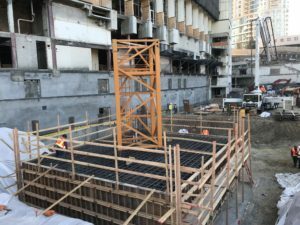 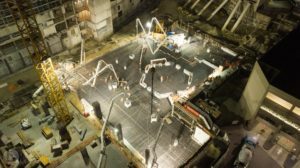 The large foundation is for one of two 46 level residential buildings with a similar size pour scheduled for later this summer. 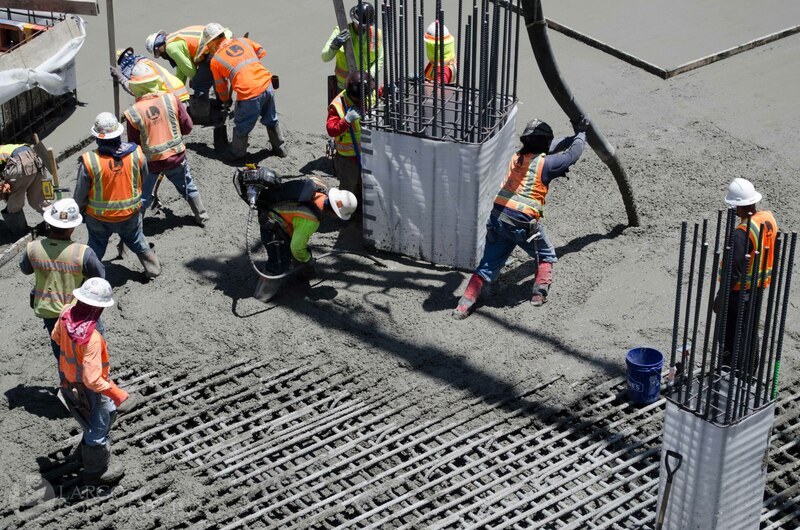 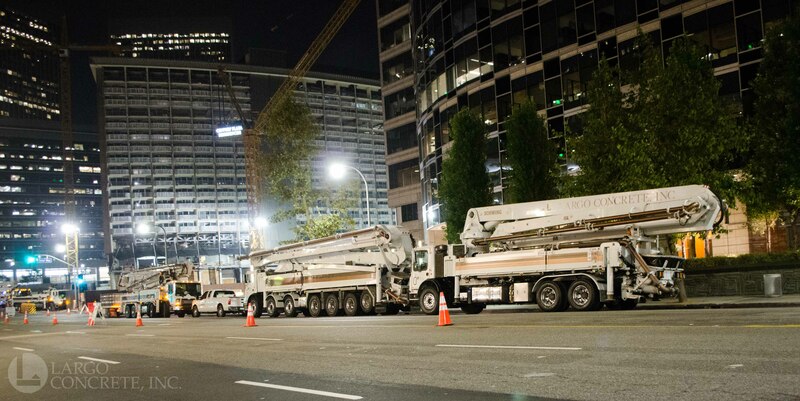 Over 100 tradesmen were on site to unload, pump, place and finish 1,001 ready mix truck loads over 16 hours. 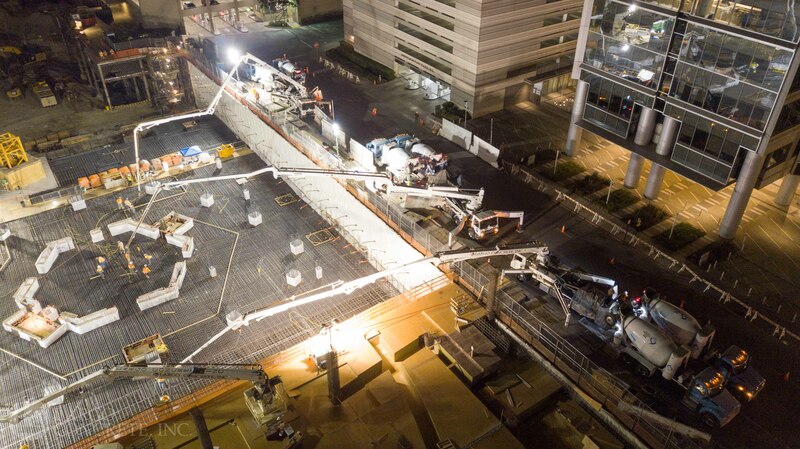 Seven boom pumps, two city pumps and two placing booms worked together pumping 800CY/Hour. 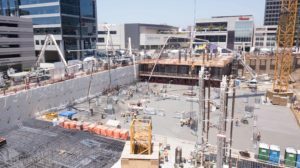 Working with architectural premiere designers Gensler, Pei Cobb Freed & Partners, Harley Ellis Devereaux, Englekirk Structural Engineers, and general contractor Webcor Builders, the development is scheduled to open in 2020. 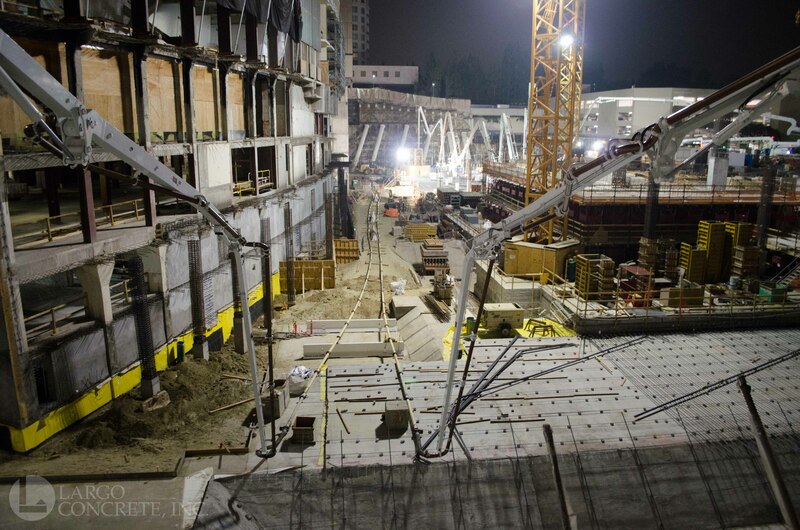 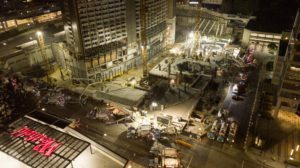 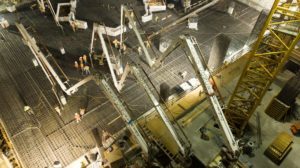 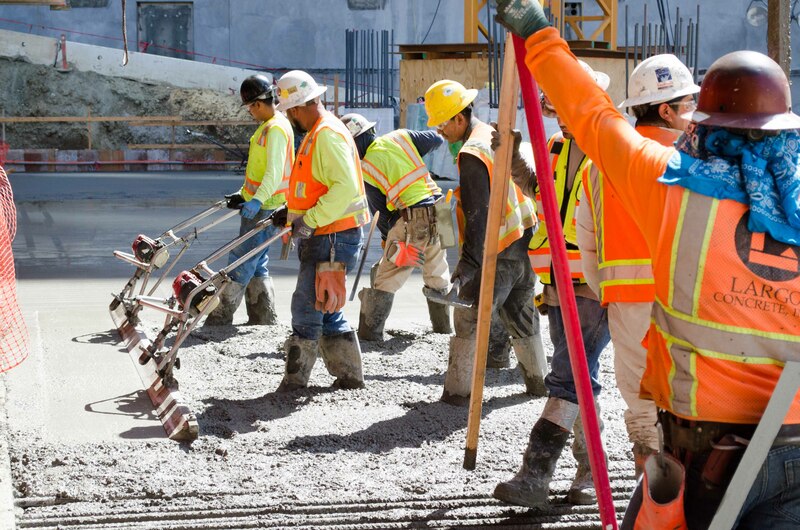 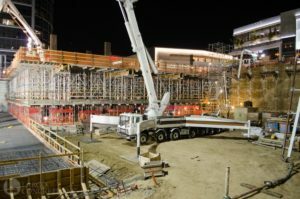 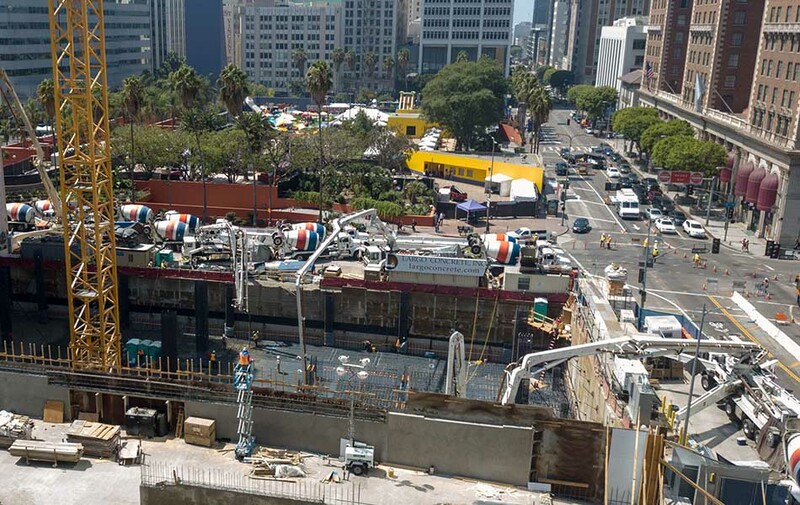 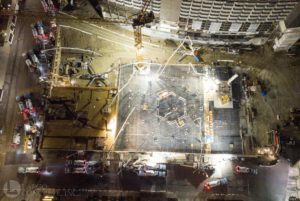 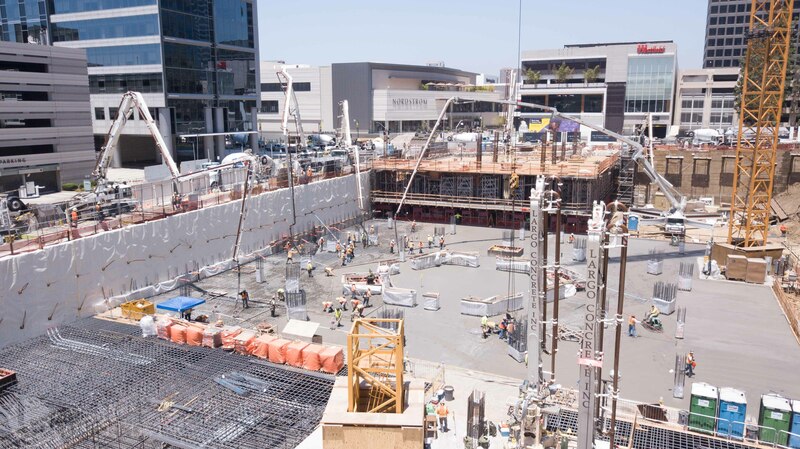 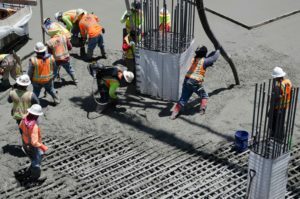 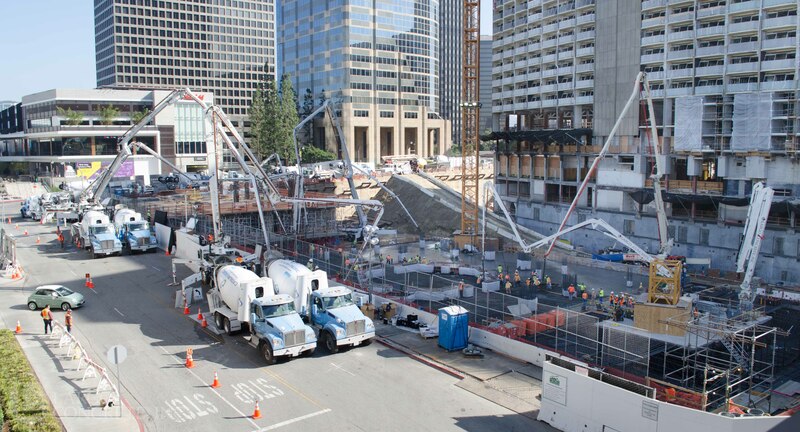 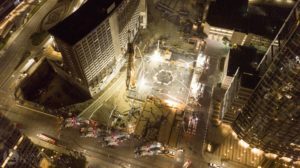 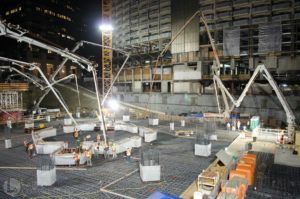 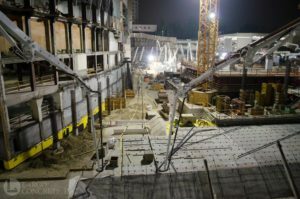 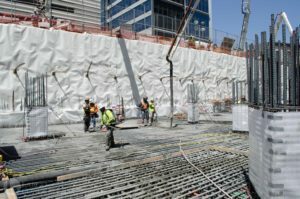 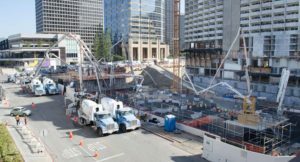 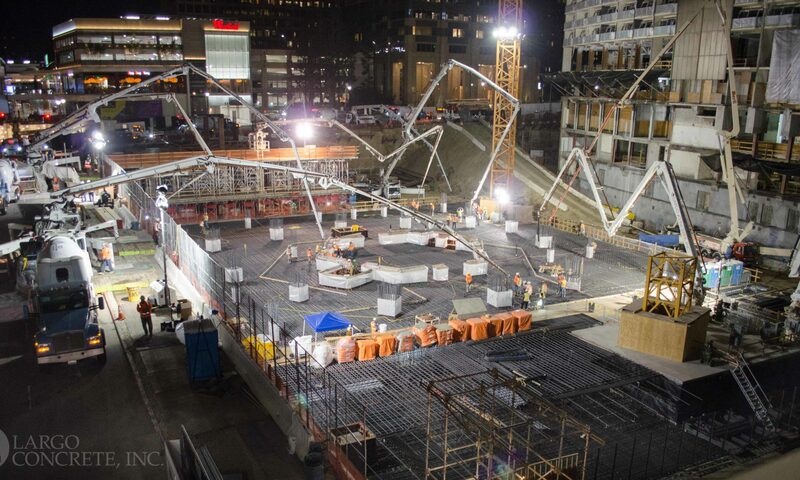 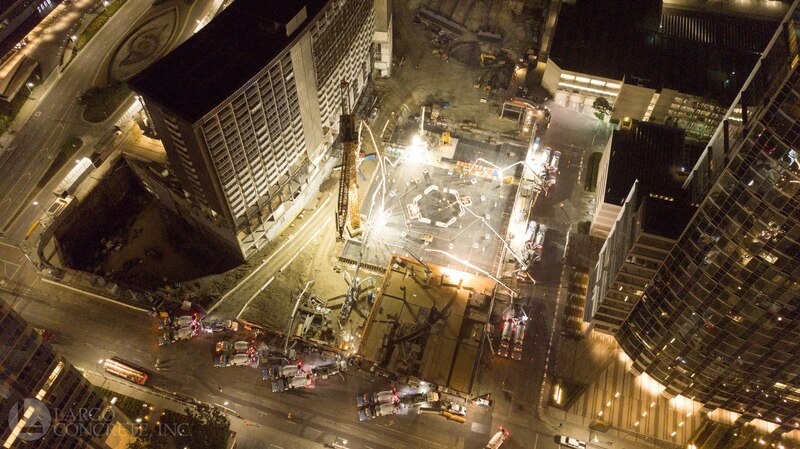 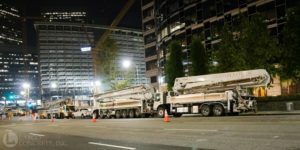 Largo placed 4,700CY of concrete at the Park 5th Development in downtown Los Angeles right across from Pershing Square over the weekend. 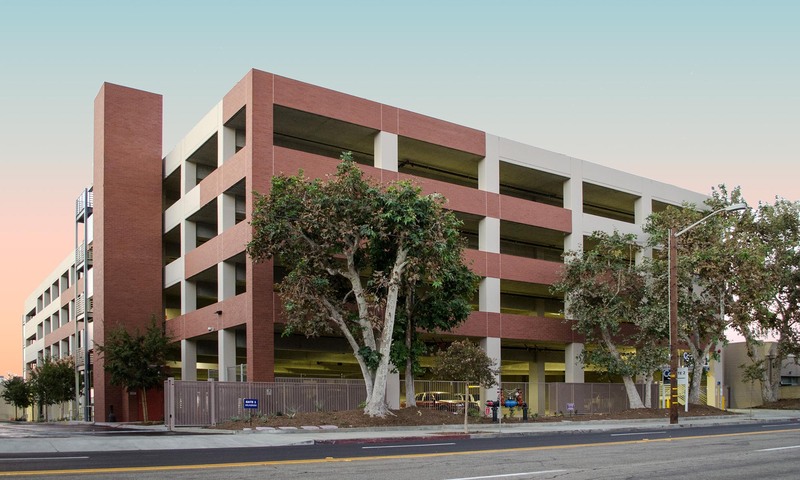 The large foundation sits at the based of a 25 story residential high-rise building scheduled to open early 2019. 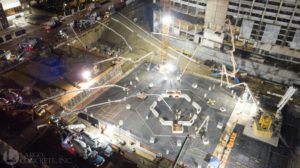 Working with architect Ankrom Moisan, Nabih Youssef & Associates structural engineers and general contractor Suffolk Construction, Largo anticipates topping out in August of 2018. 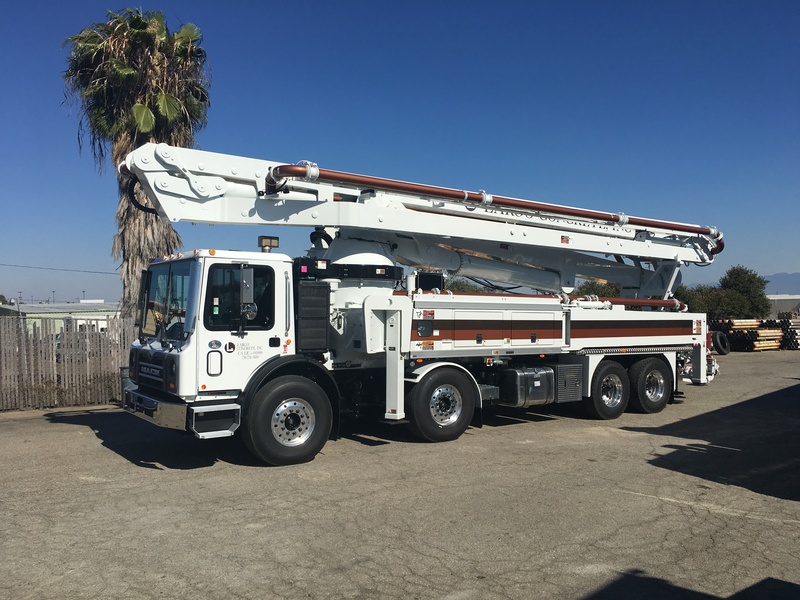 New addition: Schwing 36 SX boom pump!